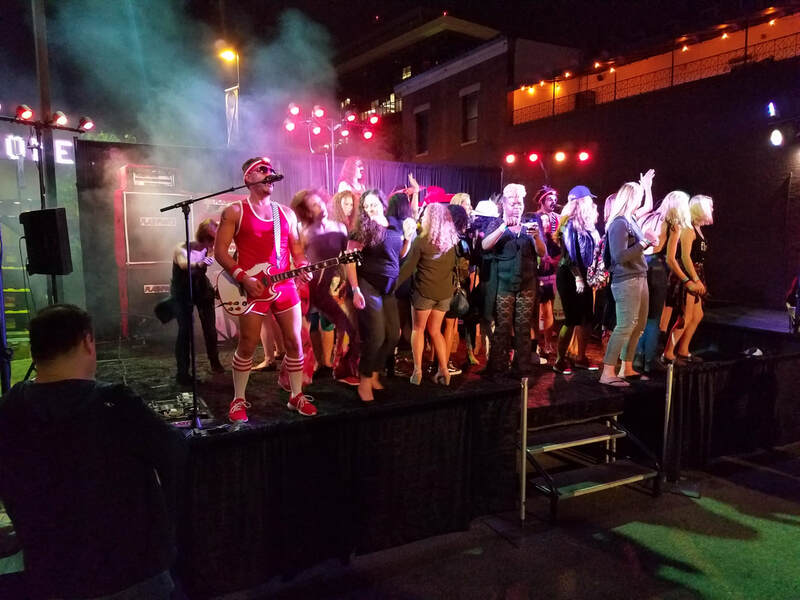 Stages - Interact Event Productions - Corporate Event Planning at Wholesale Prices! We have both a large and smaller stage that is perfect for presentations, awards, announcements and hosting field game challenges. 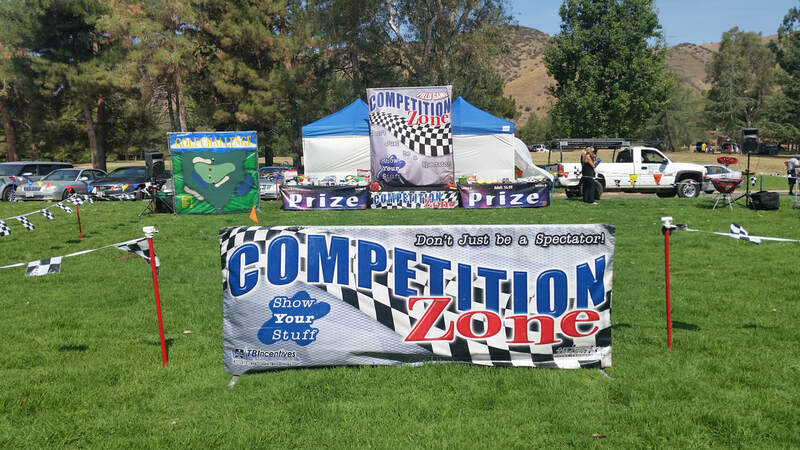 Competition Zone Presentation Stage is perfect for most events. It's used for Field Game packages and award presentations. 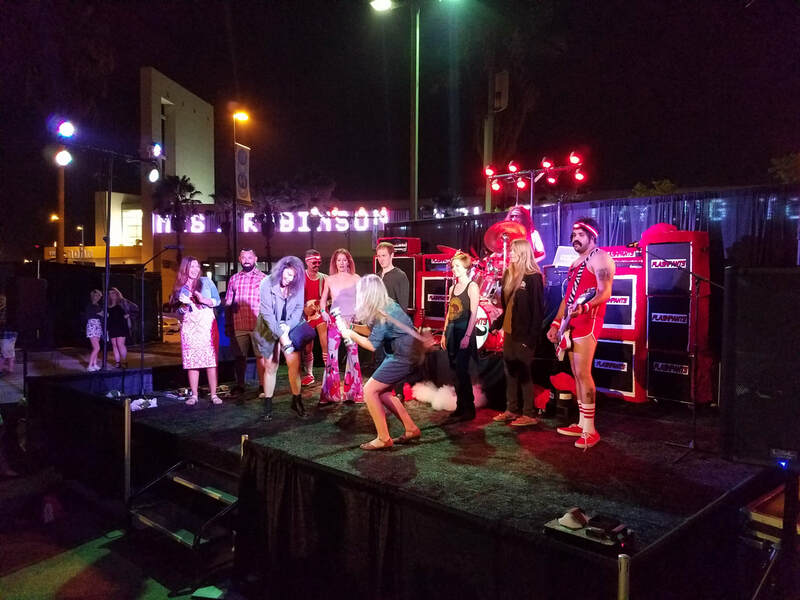 Both our Deluxe Stage and Mini Presentation Stage are customizable to any party demographic. Our stage packages for both the Deluxe and Mini Presentation stage include our Custom Designed Digital Wrap, Carpet Kit, Podium and TWO Matching Prize Tables! Add our Ambient Sound package which includes Mackie Brand satellite speakers, pre-mixed ambient music and wireless mic! 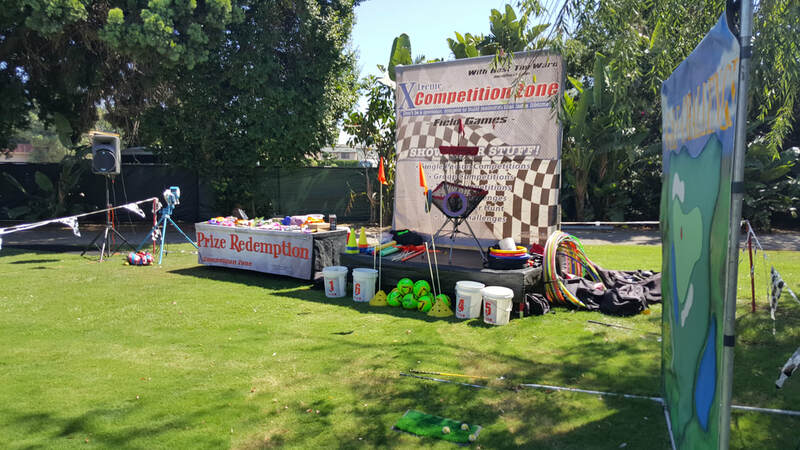 Interact Event Productions will take the reigns on your event! Call us for quote! Professional Host will conduct field games.